Uber and Lyft’s efforts to keep drivers from unionizing faced a setback when a federal judge dismissed a lawsuit that would have ended a ride-share driver union in Seattle. 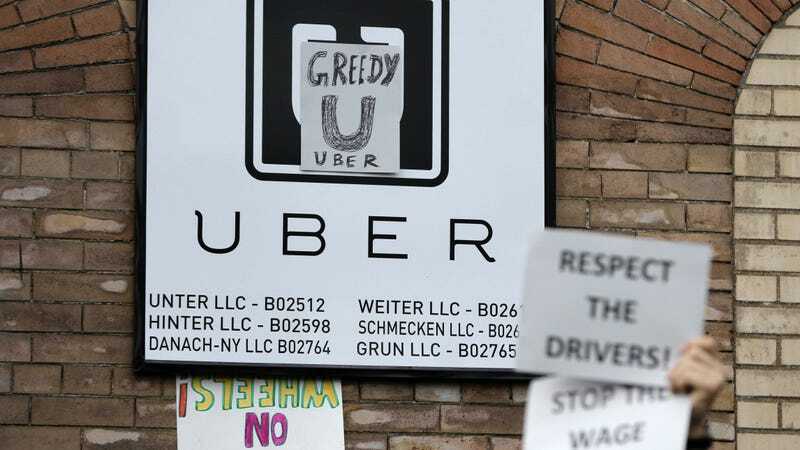 U.S. District Judge Robert Lasnik dismissed a suit that argued allowing driver unionization in Seattle breaks antitrust laws, as ride-share companies classify its drivers as “independent contract workers” instead of employees. Seattle is the first and only city to allow Uber and Lyft driver unionization. Lasnik, however, ordered a temporary halt on Seattle driver unionization after the lawsuit was filed and the block remains in place. Uber and Lyft drivers would rather classify drivers as independent contract workers to keep from paying expensive benefits and salaries. Driver earnings are already costly for Uber and Lyft, and both companies are looking into self-driving technologies to nix the need for drivers altogether. Uber and Lyft drivers in Seattle, however, told Jalopnik they enjoy their right to collective bargaining. Many of these drivers work as many hours driving as they would at a full-time job, without benefits or a salary. UPDATED August 2 4:52 p.m. EST: Lyft spokesperson Adrian Durbin told Jalopnik the company is “disappointed” in the ruling. “Seattle’s poorly drafted ridesharing ordinance could undermine the flexibility of drivers to choose when, where and for how long they drive—the very things that make Lyft so attractive to drivers and useful for passengers,” Durbin said in an e-mail. Uber intends to appeal Lasnik’s decision in the U.S. Court of Appeals.